I originally only popped this on because the title colors went with Christmas season well enough to call this a “holiday” post, but the amusing thing was that part of the movie actually does take place over that time period anyway, decorative lights and all. This OVA release originally came out for the 40th Anniversary celebration of the Lupin III franchise back in 2008, but it only made its way to North America this year via Discotek Media. Given that this is the sort of decades long timeless series that can generate remarks of “How can Lupin even keep doing all of this?” from folks, I’m actually rather fond of how they chose to approach both that issue and why there are different colored jackets. 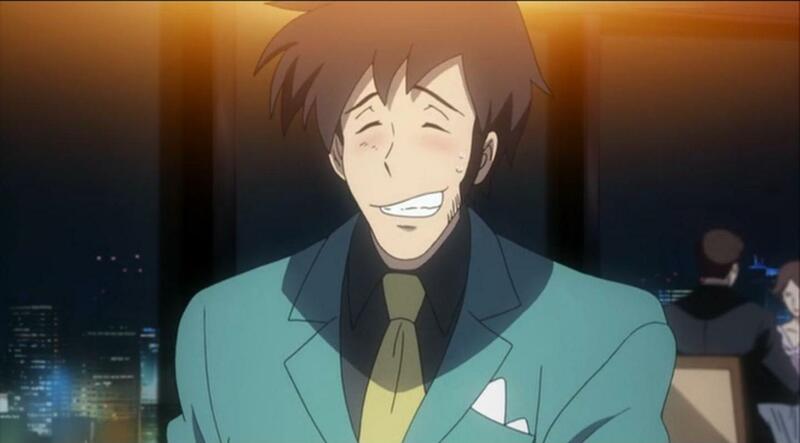 It’s a production that wants to deal in the identity of Lupin, and what makes a real Lupin. And I say “a” because the film kicks off with a Lupin impersonator getting captured by the Japanese police… except this is very surprising to all of the other folks posturing as Lupin in the world to see on the news that day. Dozens of them, as one could imagine. 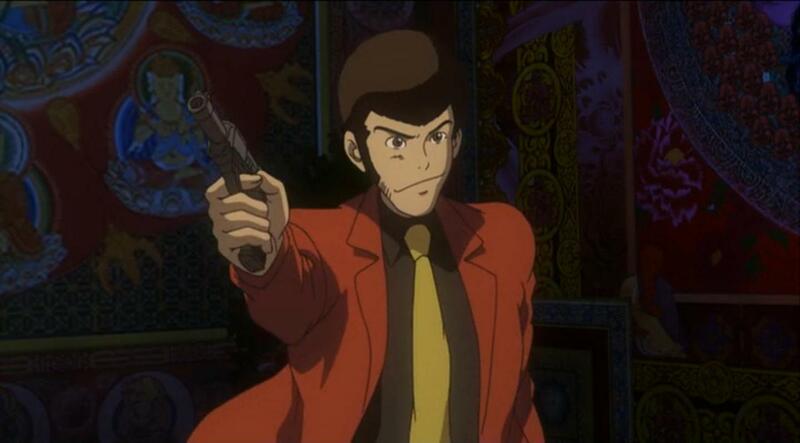 So all of these Lupin’s in all manner of green and red jackets descend upon the nation to bust out this captured Lupin, and with them all in the same spot for hijinks we have a lot of conceptualization over what would actually make any of them the “real” Lupin. He’s a popular guy to want to imitate certainly, so how does one figure out which one is which? It’s a question not just for the Lupin’s themselves, but certainly also the public at large, the media, and the whole cast of franchise characters from Inspector Zenigata to Fujiko Mine herself. It’s a pretty fun setup idea that allows for a lot of really nifty action comedy slapstick from a number of different styles. There is a ton of little headnods and trivia bits for longtime series fans, but it does so in a manner that doesn’t make the production impenetrable to outsiders or first timers. A fraying poster of The Castle of Cagliostro here, one of the Lupin’s spray painting “Rupan” on a wall there (which was his international name in some markets for a time due to copyright issues with the Maurice Leblanc estate), and it even manages to work in an acknowledgement of Shinichi Watanabe’s jacket donning and afro sporting Nabeshin persona inspired by the series. But none of it is waved around in a manner that detracts were one to not actually get the references, which is I feel is pretty important. It really is far more interested in these ideas of identity and history over the actual heist plot revolving around the mysterious “Ice Cube” object however, which does feel rather shoehorned in. It isn’t brought up for quite a while, has a number of little niggling lose ends it brings up without actually resolving, and wraps up relatively early given how much of the film continues on after the fact. Every aspect of this part of the plot just sits pretty awkwardly, as one really gets the sense that the anime would rather just sweep it away to get the “High Stakes Heist” checkbox ticked off before moving on to what it would much rather be spending its time on. There’s a whole conspiracy plot it wants to bring up for it, paramilitaries and all the rest, and yet it just sort of sputters out because those threads are not given their due weaving. It causes Green vs. Red to feel oddly bloated and oversized, even though it really only runs about seventy minutes. A lot of times in productions positioned as some kind of a franchise “versus” piece they resolve without anyone actually winning. And given, a large amount of the time this does feel the same way, as the different jacketed Lupin’s are more competitively shenanigan oriented or usually working toward an overall goal. The “green jacket” and “red jacket” debate has been going on for decades, after all. That said, it does actually eventually give way to have a standup throwdown and narratively declare a “winner,” which was pretty swell to see because I was not actually expecting the attempt to be made. 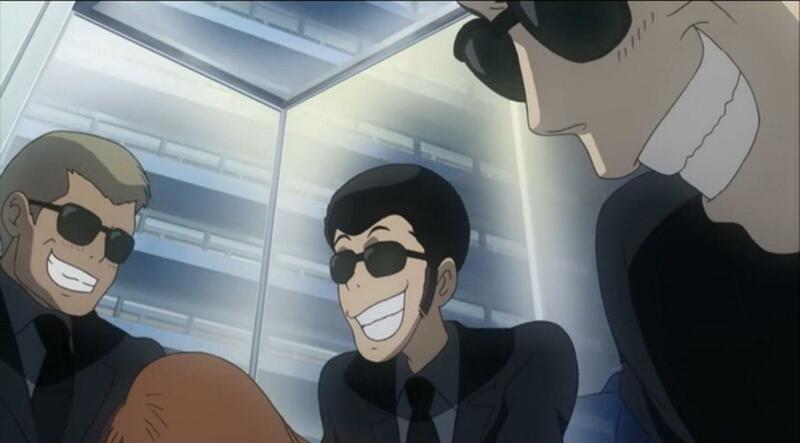 In turn, by the nature of having so many folks attempt to take up the mantle of “Lupin III” over the course of the piece it also manages to resolve itself in such a way where those in support of the “losing” jacket merely know that their time will also come. It’s all a part of the larger eternal nature of the character. There’s no pink jacket Lupin III in any of this though, which as an anniversary special full of so many other depictions was kind of unfortunate. I mean I know that doesn’t fit at all in the actual title of the OVA or anything, and the green and red ones are far more well known and popular, but pink jacket did have a whole fifty episode television series. I feel there was room for at least a one off joke to feature that, where maybe one of the red jacket Lupin’s has a laundry problem or something. On the whole, and speaking as someone who is not an age old Lupin III fan, I thought Red vs. Green was a pretty fun little thing. It’s like a smaller scale local amusement park, where chunks of it may not be all that interesting or as precisely thought out as the AAA ones, but there is still good entertainment to be had in places and certain sights, sounds, and lights will always be cozy fun regardless.